It’s not often that you will find an American brand that decides to open a flagship store in Macau as opposed to Hong Kong but that’s just what Dooney & Bourke did when they set up shop in January 2008 at the Venetian Macau. We sit down with Teresa Kong, Dooney & Bourke’s Asia Pacific Brand Manager for a tete-a-tete. Hong Kong Fashion Geek: What is the philosophy behind Dooney and Bourke? Teresa Kong: Dooney & Bourke is an American luxury leather good company created in 1975. All our designs promise endurance in both style and wear. We offer classic style with a fashion edge that last. HKFG: If you would characterize a woman who uses Dooney and Bourke, what would she be like? TK: Due to amount of collections we offer, we cater to women of all age groups and styles, therefore is hard to answer this question. 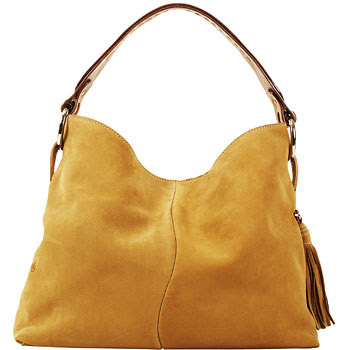 But one thing for sure, once you are a Dooney and Bourke customer, you are one for life! HKFG: You've partnered with celebrities such as Hayden Panettiere in the past to design Dooney and Bourke bags. Do you have any partnerships coming up that we can look forward to? TK: We are always in search of the next celebrity that could represent our image. And for the second season we continue to work with supermodel Maggie Rizer. HKFG: If we take a peek into a Dooney & Bourke handbag, what would we find? HKFG: The brand is currently available in Macau. Any plans to bring it to Hong Kong? TK: We are always in search of opportunities to expand overseas, and Macau is the very beginning of this process and hopefully we will see more Dooney & Bourke shops popping up everywhere in Asia in the future, with Hong Kong being one of the prospects. HKFG: If you could only use one word to describe the brand, what would it be?